Why in the world would anyone want to eat orange peel? That was always my thought when I saw it in a candy case. Even dipped in chocolate...who would want that? A. It's fruit, which is not dessert. B. It's the PEEL of a fruit...what the heck? Well, my friends, this girl has changed her tune. Here's the deal. 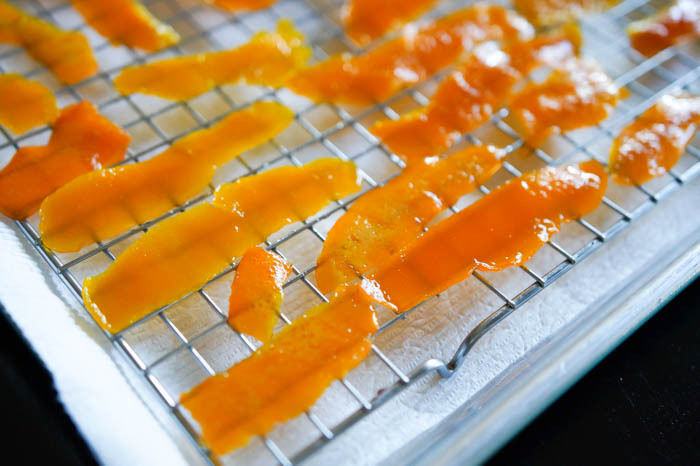 Candied orange peel isn't hard to make. Also, it DELICIOUS! The taste reminds me of those orange candies, but much, much better. 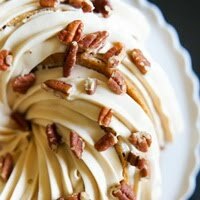 Tart, sweet, a little chewy...heaven. 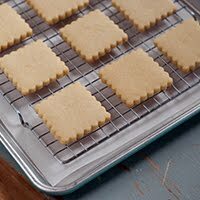 The basic recipe comes from this one on Imperial Sugar's site. The recipe is from Chef Eddy...an actual chef, so he knows his stuff. I modified it a bit, using a peeler for less pith and thinner strips. This also led to a shorter cooking time which is a bonus. First, you'll peel oranges. 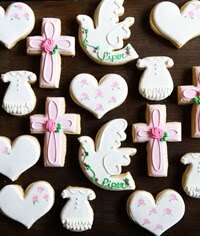 Three to five per batch for this recipe. Some of the white pith will come off with the peel. Scrape away any that you can, but don't worry about a thin layer. Next comes a series of simmering and cooling. You'll start with water and salt. Then, just water. After a couple of times, you'll add the sugar. Simmer and cool again. 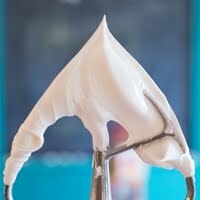 The sugar will soak into the peels. 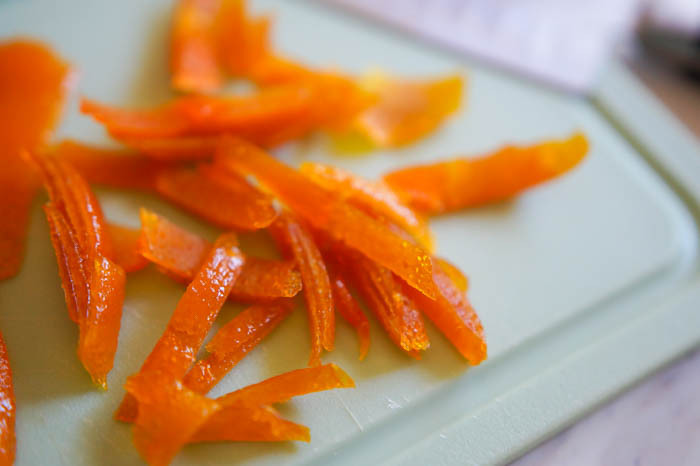 Once the peels are translucent and sweet, it's time for drying. This can take 24-48 hours. Oh, oh, oh!!! 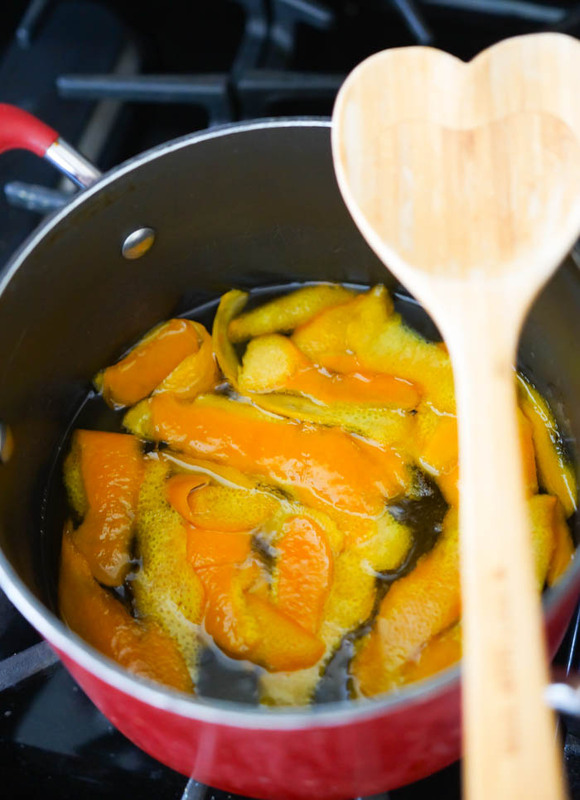 Don't throw away that beautiful orange simple syrup leftover from cooking the peels! It is just heaven sweetening a cup of Hibiscus tea! 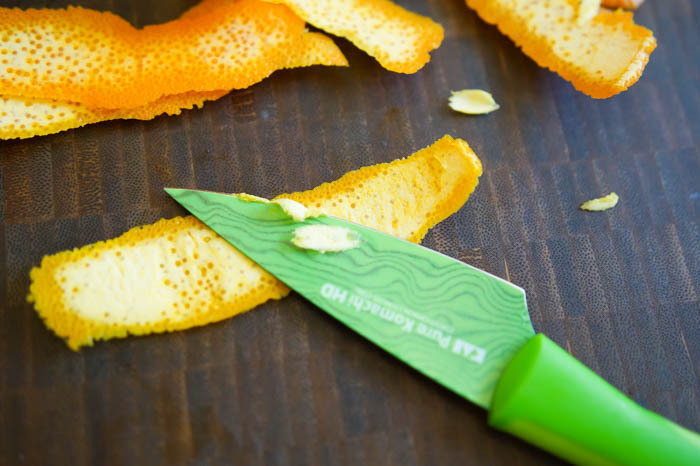 Peel the oranges with a vegetable peeler. 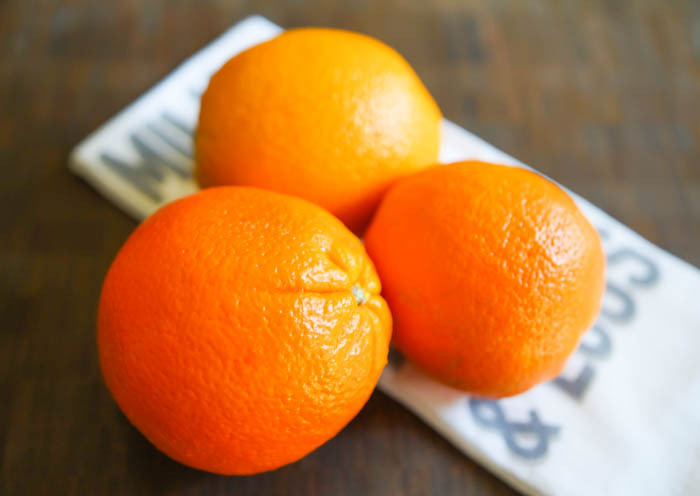 Use a paring knife to remove excess pith, but don't worry about a thin layer. Bring 8 cups of water plus the salt to a boil. Add the peel and simmer for 5 minutes. Drain the peels and discard the water. Repeat with 8 more cups of water and no salt. Drain again, discarding the water. Bring 1 1/2 cups more water plus the sugar to a boil. Add the peels and simmer for 5 minutes, stirring occasionally. Do NOT drain. Place the lid on the pot and let cool. Refrigerate for a few hours to cool completely. Once totally cooled, bring the same mixture to a simmer. Simmer for 5 minutes. Cool as above for several hours. 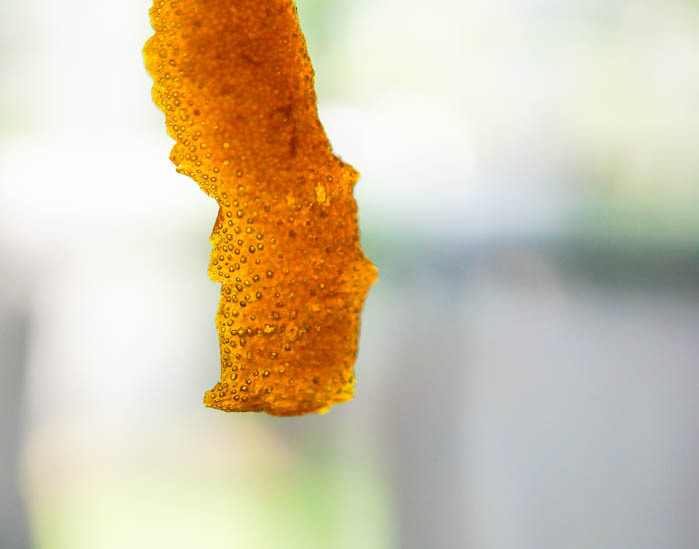 Once cooled, remove one peel from the syrup and test a small piece. 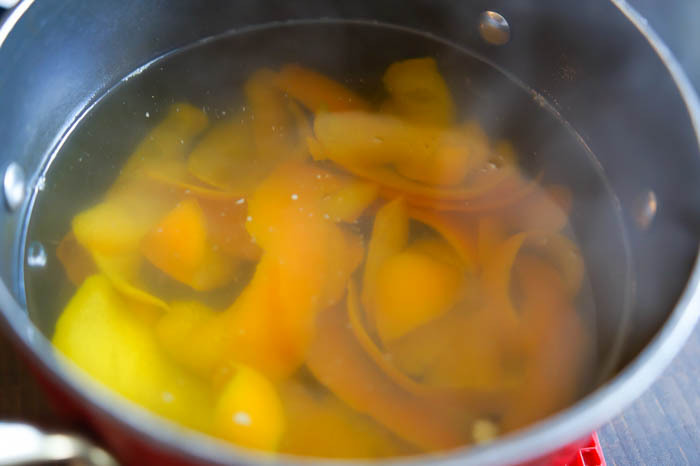 If translucent, soft, and sweet, the peels have finished cooking. If the peels are tough and you can taste the bitter pith, cook as above once more. Drain the peels reserving the syrup. Store the syrup in the fridge and use for sweetening tea or cocktails. 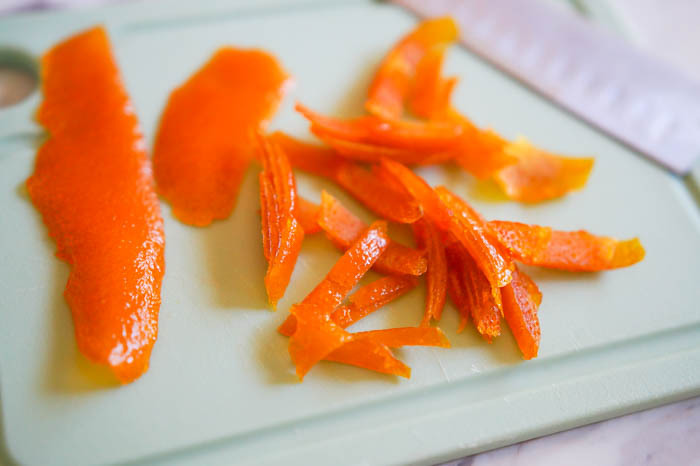 Separate the peels and place on a wire cooling rack placed over a cookie sheet. Let the peels dry for 24-48 hours. The peels are edible while still tacky to the touch, but make sure they are completely dry before storing or dipping in chocolate. 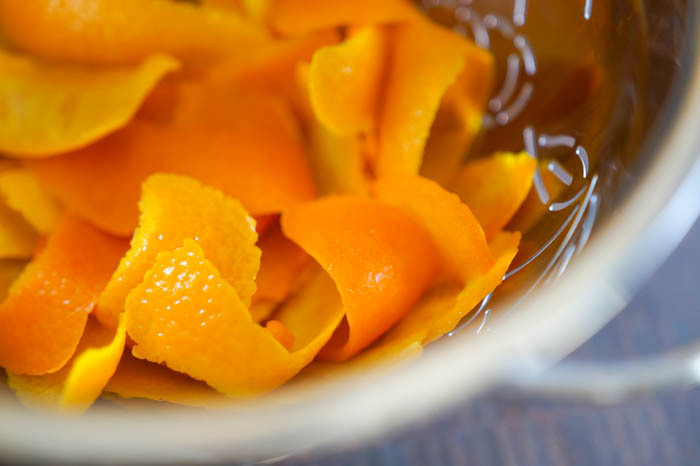 Store dried peels in an airtight container in the pantry. Stay tuned for the Irish-inspired recipe coming soon! Looks delicious Bridget! This would be awesome in so many things! 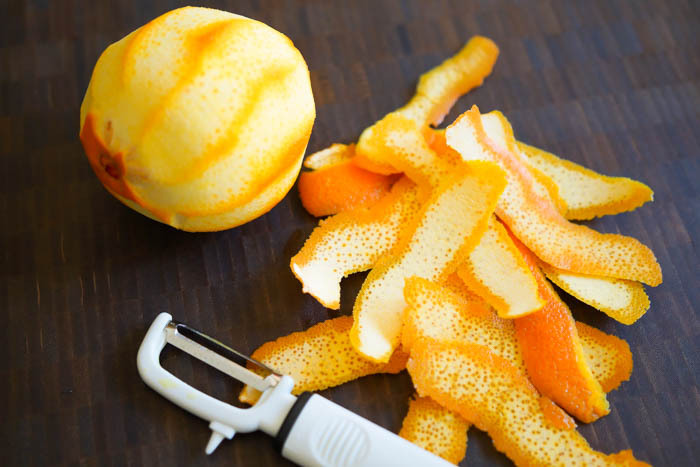 I have been making orange peel for years. It is time consuming but worth the time. I boil it and dump the water after a few minutes four times. That takes care of any bitterness. 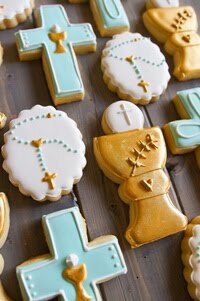 They taste nice on top of a piece of home made caramel or given in a small bag as a gift. I have tried grapefruit too which I learned from Chef Jacques Pepin. I like the orange peel the best. Enjoy. 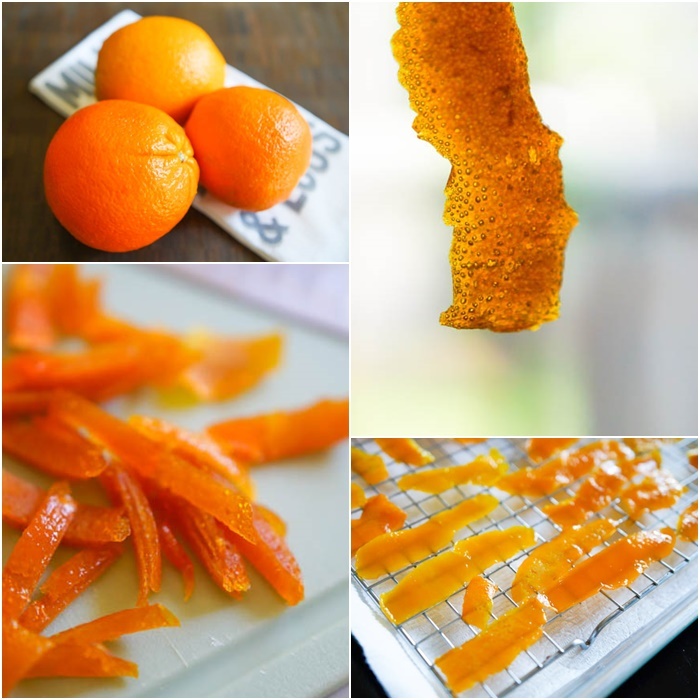 I first tasted candied orange peel when a dear friend brought some to work. I was in heaven. She would make the office (me!) some from time to time, declaring it was a labor of love. She rolled hers in sugar at some point so they were quite fancy looking. 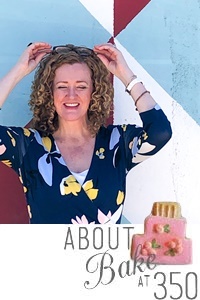 Hi, Bridget, I was wondering if it would be OK if I use brown sugar instead of white sugar? Hi Kevin! I would stick to granulated sugar for this one. I think the brown sugar would add too much molasses flavor. This is a brilliant idea! Great way to use a part of the orange that normally just gets thrown away. wonderful process super and certainly wealthy pleased and extraordinarily beneficial information I got it my answer as of over right here and desirable process and keep it up with the extremely good content thanks.